Right off from the Star Wars movies, John Boyega headlines the movie as Jake Pentecost. 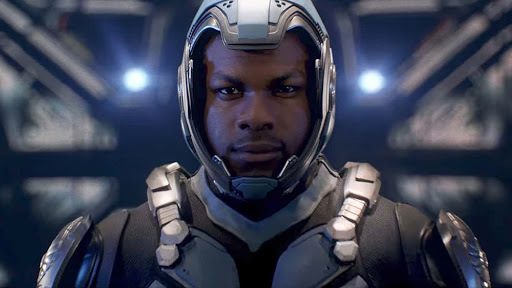 Based on that character's last name, Pacific Rim fans will surmise that Jake is the son of the heroic Stacker Pentecost (Idris Elba) in the first movie. Unlike his father though, Jake is kind of a crook. His Jaeger co-pilot is Nate Lambert, played by Scott Eastwood. 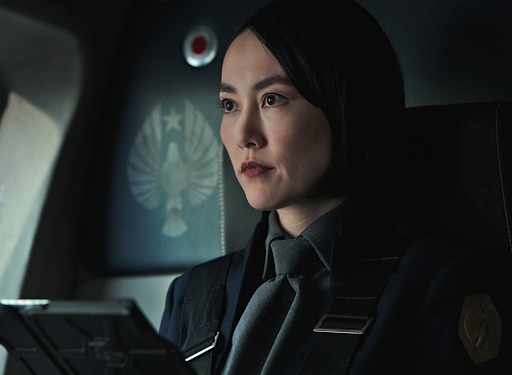 Fan favourites Mako Mori (Rinko Kikuchi) and Dr. Newt Geizler (Charlie Day) are also back in play. With her purple streaked hair and attitude in the first movie, Rinku Kikuchi impressed the legion of female fans around the world by playing a character who was persistent, smart, and best of all, not played to usual Asian stereotypes. 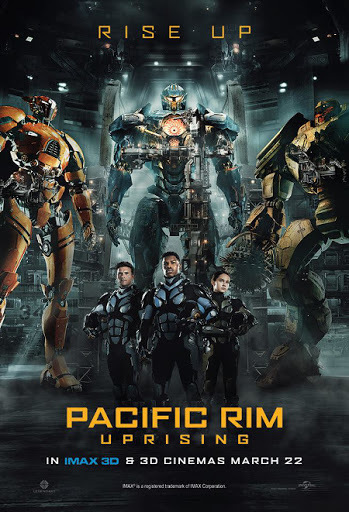 That was so rare (and is still so, but little less now) during the time when Pacific Rim was released. Mako is now in a leadership position within the Pan Pacific Defense Corp or PPDC and in-charge of training the next generation of Jaeger pilots. Helping to save mankind are Amara Namani (Cailee Speany) a young civilian Jaeger hacker, Liwen Shao (Jing Tian), Jules Reyes (Adria Adjona), and another scientist called Dr. Herman Gottlieb (Burn Gorman). This time though, the odds have increased. A more gigantic and stronger kaiju has emerged from the ocean depths, seemingly released by someone who has an agenda of their own. There is also a mystery rogue Jaeger called Obsidian Fury that the new pilots have to contend with. Despite their individual flaws and personal baggage, the young Jaeger pilots will have put these aside and learn how to co-operate in order to save humanity from destruction. The PPDC's new and upscaled Jaegers no longer represent a specific country. They are sleeker, faster and more powerful, with Gipsy Avenger paying tribute to its predecessor Gipsy Danger. 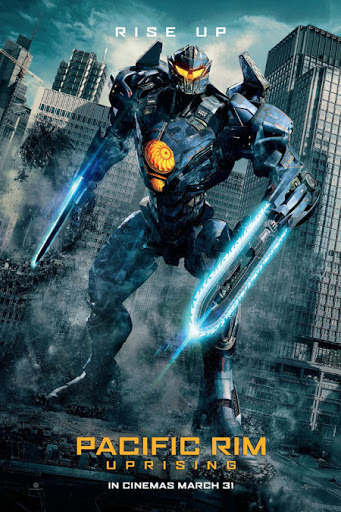 To help bring fans up to speed with the missing years between the first movie and the upcoming sequel, there is a free, digital webcomic called "Pacific Rim: Amara". The first 3 episodes were released on the LINE Webtoon last Friday. 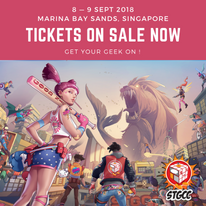 The webcomic by writers Cavan Scott, Zhang Ran and artist BigN, introduces the character Amara (Cailee Spaeny), whose family was killed by the kaiju attack learned how to build and engineer her own Jaeger together with a few other civilians. 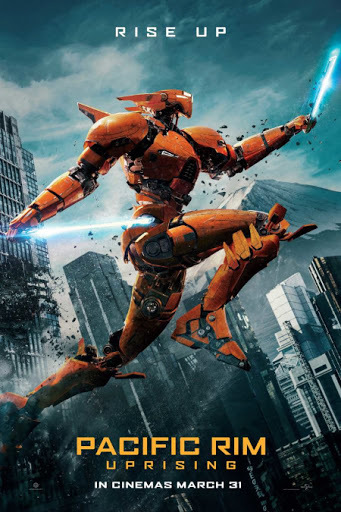 "Pacific Rim Uprising" is scheduled for release in local cinemas on 22 March 2018. Ya better get WAR READY!